Memorial Park is home to Memorial Square and the Oil Patch Warrior statue, both dedicated to the history of Ardmore and its citizens. 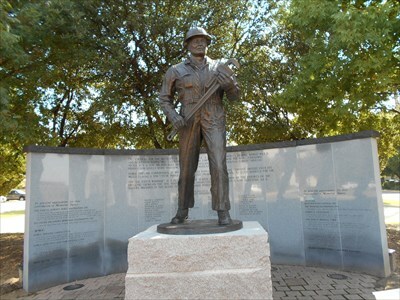 The park's monuments pay tribute to the energy industry; the Oil Patch Warrior is dedicated to those Oklahomans who were instrumental in procuring American freedom by working in the energy industry during World War II. Secondly, the park is a memorial for the veterans who helped fight for the freedom Ardmore and the rest of the country enjoys today.